Criminology may sound, initially, like a very concentrated field; however, the truth is that there are a number of different elements that play into the genre of criminology. As a result, there are a number of different careers that an individual will be able to consider when they investigate the life and options of one who works in the field of criminology. For all the many job opportunities and career paths that exist for those who are interested in the field, the field can be slightly difficult to break into for a person. This is due in part to the fact that the inquiring person needs to be well-rounded when it comes to education, but also because the person does typically need a good amount of schooling in order to be considered as a qualified candidate for these types of jobs. One of the most obvious careers that will typically pop into the minds of people who are thinking about crimes would be the profession of a police officer. This is a very well respected field and does not require as much training and schooling as some other fields might. Applicants will need to be tested in a number of ways prior to being offered a position, and in some more urban and populated areas there is a more desperate need for qualified police officers. As a result, there is slightly more competition than there may be in a small town that is looking to hire police officers. A drug policy advisor needs to do many things depending on their field of concentration. Some of these advisors need to be able to look at trends and crimes over a period of time, and then weigh this information against the rest of the information that the individual has needed to research. In some cases, this can include the number of deaths as a result of the drug and the number of violent crimes that have taken place in an area involving the drug as an instigator in the crime. By looking at this information, and also at how much annually is spent on the drug for different demographics, a drug policy advisor can make some suggestions regarding the medication or drug. Sometimes there are no negative repercussions as a result of the drug, but in other cases policies need to be put in place in order to place restrictions for the good of the public and the welfare of citizens. 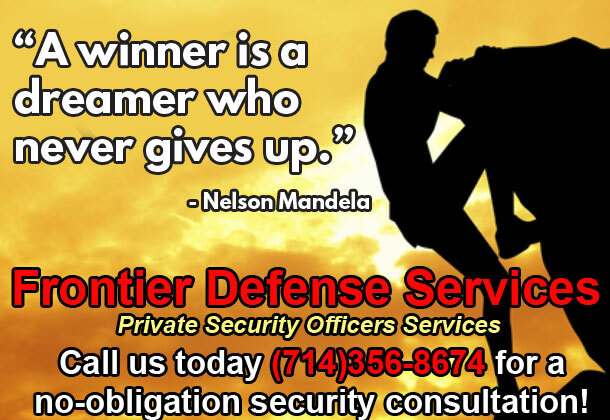 Other productive careers also include crime intelligence analysts, advocates on behalf of the consumer, private crime prevention leaders, and individuals that are working corrections. These many careers require different and specific levels of schooling before the individual candidate can be seen as qualified for the job. Cost of education varies depending on where an individual attends school in order to receive their education and how long they are required to their university. Careers in Criminology are not just open within the United States for individuals, but are actually located in different areas around the world. Different laws are established by different governments, so not all individuals qualified to work in the field of Criminology within the United States could do so in other areas of the world. Still, individuals that are qualified in different areas can broaden their search options and range by looking at careers outside their geographic location. 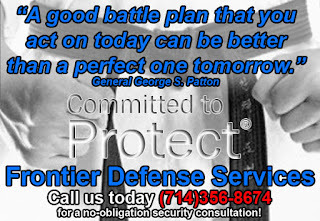 Always Committed to Protect You! 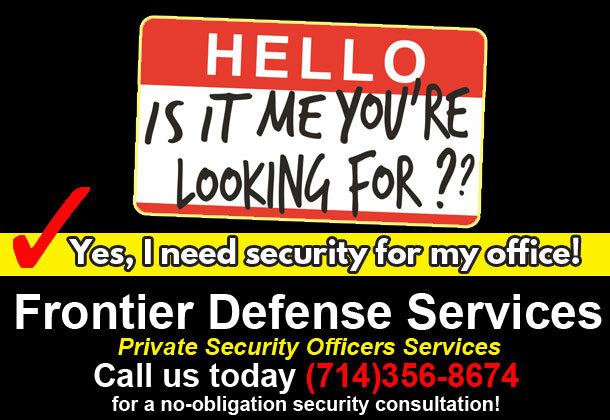 * Call us today (714)356-8674 for a no-obligation security consultation! The American Society of Criminology is one of the best references and sources of information regardless of where an individual lives and what country is maintained as their place of residence. Contrary to the implication in the name of the organization, the American Society of Criminology is actually an international organization that is open to many people. Annually, the organization hosts a general meeting, and topics are discussed that seem appropriate in which everyone can take part. The themes are generally vague, but still give way to important topics. Recently, the meeting has had the theme of “Criminology, Justice and Public Policy in the 21st Century”. Since this type of conversation topic does not limit itself geographically, anyone is free to express their concerns or issues when it comes to these matters, as they feel the public will be affected by them in this coming century. In addition to offering annual talks for professors, legal minded individuals and other academics interested in the various aspects of criminology, the law and sociological effects as a result of crime, the American Society of Criminology is also geared towards helping these people. There are employment opportunities at the meetings as well, and on their website the American Society of Criminology actively updates their position and employment posting boards. As a result, individuals that are going to be graduating from college with a Criminology degree can find on their website a wealth of information pertaining not only to available jobs and markets, but also a resource in the form of networking with likeminded individuals. Within the Society there is an Executive Board. This is made up of the President, the President Elect, the Immediate past President, as well as the Vice President and the Vice President Elect. Those positions are elected. There are also appointed officers, and these positions are made up of the executive secretary, as well as the treasurer and the editor for one of the Criminology Journals, known as Criminology: An Interdisciplinary Journal. Six Executive Counselors are also added to the board. These are the individuals that run the society on the whole; those who form policies, determine the specifics of the Annual Meeting, and ratify the Society’s budget. 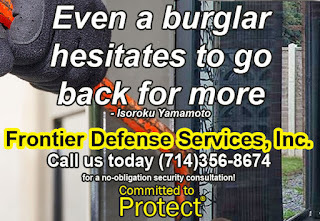 With crime on the rise, home security systems are a must have. 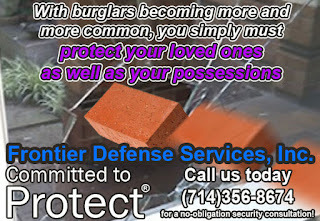 With burglars becoming more and more common, you simply must protect your loved ones as well as your possessions. 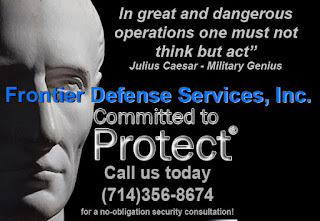 There are several different types of security systems available for you to choose from. 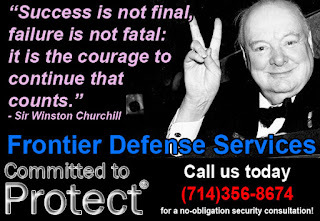 For your home, there are wired and wireless security systems available. Each one has its advantages and disadvantages, along with the differences in price as well. The driving technology found with both wired and wireless security systems are quite different. Wireless security systems don’t need to be wired through the house; they will instead send transfer messages to the control panel through radio signals. When they were first introduced, wireless security systems were proved to be unreliable when compared to the wired systems. As time went by and more and more people looked into them, wireless systems began to take form. When compared to wired systems, wireless security systems are a lot easier and more convenient to install due to the fact of there being no wires. Wireless systems can save you a lot of money, time, and effort due to there being no ripping of the floors or walls in your home. Wireless systems on the other hand are more expensive than wired systems and you’ll need to replace their batteries on a periodic basis. The primary advantage to wireless security systems is the fact that they are easy to relocate, meaning that you can easily shift them from one home to another. Wireless security systems use the same components as other security systems such as the touchpad, control panel, cameras, detectors, and alarms. Wireless systems rely on radio frequencies that are transmitted by the door contacts, windows, and motion activated sensors. The touch pads that are located at the entrances to the home will provide activation and deactivation of the system. In the event of the power failing, a backup system will take over the wireless system and continue to provide security for your home. To use a wireless system, all you need to do is input the code through the control panel. Normally, this is done prior to entering and leaving your home. Once the code is input into the control panel, the control panel will send remote signals to the rest of the system that will activate the alarms. Depending on the system you have, an alarm will go off either by motion detection or a window or door being opened. 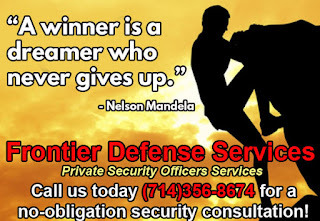 If you look around you can find several different wireless security systems, many of which you can install yourself. Before you buy a system though, you should always consult a professional who can survey your home and suggest the equipment you need. Even though it may cost a bit more money, it will be more than worth it down the road. After the massacre at Virginia Tech, once again the mammoth issue of gun control has been brought up at full force. Many are highly upset that even after gun control laws have been enacted that the killer in the massacre was approved for a gun and purchased it in less than 30 minutes. Many have speculated that had there been much harsher guidelines in place, that the sale would not have been completed, and it could have potentially saved all of the lives that were tragically lost in the disaster. The death toll from the massacre has risen to over 30 killed and more than 20 wounded. This is aside from the emotional damage that has been caused to the hundreds who are left grieving in the wake, and those who experienced first hand the trauma of the event. How can such events really be avoided? Is it possible to avoid such tragedy with firmer gun laws? What about the programs that offer rewards in the form of video game systems, computers and even cash in exchange for turning guns into the police? Are these programs effective? In order to truly control guns, there has to be consensus around the country where everyone agrees that it is time for a change and the change occurs quickly, and without opposition. Gun laws are clearly too lax, and our country needs to take action to avoid scenes like those in Virginia from reoccurring. The chances of something such as this happening are almost impossible. Neither side of the political arena can agree with the other side about what appropriate gun control is, and with many residents of the United States being avid hunters whom use riffles and shotguns on an almost daily basis, it makes it very difficult to control all of the actions and movements that occur. Consider that many weapons used in crimes are illegally obtained; it makes it very difficult to determine how effective the stiffer gun laws would really be. With a new Presidential Primary due to start in the near future, it will seem as if there will be much heavy debate over how to control the flow of guns into the hands of those who are dangerous, or potentially dangerous. 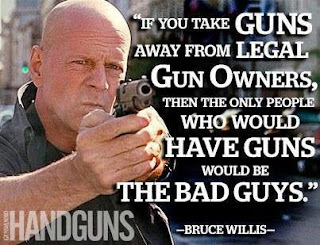 Facts remain, that while the election is likely to focus on this issue, there is still the issue of preserving the Constitutional right to “bear arms” as long as it is done legally, and those who already have the weapons currently can potentially be just as dangerous as those looking to purchase the guns in the future. We are left with the task of trying to avoid the tragedy as much as possible. Colorado stepped up to the plate with a swift action enacting much stiffer gun laws after the Columbine school massacre in which two teenage boys entered their school donning trench coats and heavy weapons leaving a wake of blood and fallen students in the path. Colorado decided to avoid future incidents and enact the tougher laws. It is suspected that Virginia will follow in this path. The fate of the country rests in the hands of those elected to the public offices to help determine exactly how far gun control should go, and how the changes should occur. There are man anger management activities individuals can practice or participate in when attempting to cope with daily feelings of anger. One activity which is recommended for anger management is exercise. Exercise has been proven to have a positive impact on an individual's mood. Exercise helps an individual to decrease any negative feelings they might be experiencing. An effect anger management activity might be as simple as going for a walk or jog in the park. Visiting the gym to work out of taking part in their favorite sport may work well for an individual as an anger management activity. Taking a hike or spending a few hours in the beauty of nature would definitely allow a person to clear their head and release tension. Outdoor anger management activities would surely create an environment of serenity. Americans throw away enough paper in a year to build a wall 12 feet high from New York City to Los Angeles. This fact is from earth911.org, a public service Website that focuses on recycling issues. Now that’s a lot of paper! Now that’s just the figures on paper. What about the ink cartridges and cell phones that are tossed into landfills each year? No matter how you slice it, recycling today is big business. Shortly after Kano introduced his idea of using belts, other belt colors were introduced to the world of martial arts. Over the years, it became a great way of telling what experience a student had in his style - just by the look of his belt. 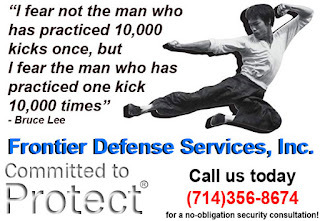 Other styles began to use this system as well over the years, including Karate, Taekwondo, and several others. Although most martial arts styles use belts to signify rank, there are some martial arts out there such as Shootfighting that don’t use belts at all. The styles that choose not to use belts don’t go by rankings either, as they are more or less for self defense purposes. Pitfighting is another style that doesn’t use belts either. These styles are great to learn for protecting yourself - although they differ from the traditional sense of martial arts. ... and finally don't forget about to secure your business! 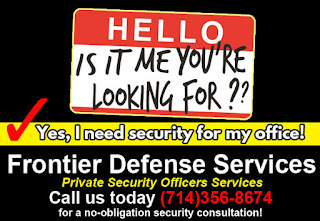 Can I get a security guard card if I have a felony? 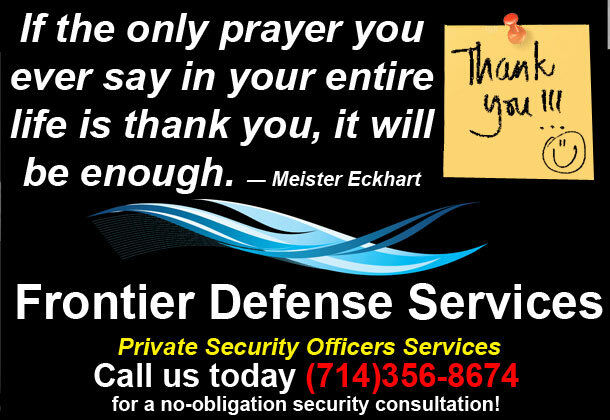 Frontier Defense Services 2011-2018. Awesome Inc. theme. Powered by Blogger.